Leif makes tiny quantities of still and sparkling ciders. The fruit he uses is a blend of heirloom apples selected to express the delicate differences in variety and terroir of three historic cider-producing regions in New York. Fermentations start with a wild yeast pied du cuvée, and run long and cool to complete dryness. There is oak aging and considerable lees exposure. The sparkling ciders are traditional method without disgorgement. The results are vinous ciders of tremendous character — textured, delicate, and nuanced, revealing of tradition, region, variety, method, and intent. Their notably high acids and greater phenolic content from maceration processes and lees contact, as well as bottling with their lees, equip them for aging and evolution in bottle. Leif’s path to cider traces back to Ur-Schatzis Kevin Pike and Johannes Leitz. In 2002, Leif left his native Texas for Portland, Oregon and, while pursuing a passion for music there, found his place in the wine industry, including a formative period at Portland’s Boedecker Cellars. From Portland, Leif moved to New York City, to work under Kevin managing the Terry Theise portfolio of German, Austrian, and Champagne grower-producers. “I learned a vast amount about the winemaking process through direct conversations with all the growers in that portfolio,” Leif notes. In 2013, he left New York for the Rheingau, Germany to work under Johannes. “There I began to taste simple but honest German ciders that made me aware there was incredible potential in these fruits. Working at Leitz after having worked at the winery in Oregon, I was reminded how important this type of work is to me and that this is what I truly wanted to be doing.” When Leif returned to New York, he began to explore ways to realize this vision there. Cider making was a perfect fit. He dove into an intensive study of apple growing, built community with other growers, launched a search for planted cider apple varieties and, in time, began to help plant organic cider apple orchards. Today, Leif operates one of the country’s most forward-thinking cideries. Although he works alone, he sees himself as part of the broader northeastern U.S. cider-making collective. He aligns himself with the work of horticulturist Mike Biltonen. Biointensive orchard management — with its focus on building soil health as a key to tree and fruit vitality — is a hallmark of Biltonen’s approach and important to Leif’s thinking about the orchards and growers he works with. Leif takes inspiration from cider makers around the northeastern U.S. who’ve “been dedicating their lives to cider for a long time.” Among them are the Finger Lakes’ Eric Shatt of Redbyrd Cider and Autumn Stoschek of Eve’s Cider, as well as Eleanor Leger of Eden Cider in Vermont. More broadly, the ciders of Bordelet, Reisetbauer, Ciderie du Vulcain, and Tom Oliver are important influences. You might say cider flourished in early America precisely because wine failed. When English colonists came to America in the 17th century, some harbored hopes of having vineyards here. But vinifera vines succumbed to disease, while apple orchards thrived. Both wild and cultivated apple trees are excellently suited to the fertile soils and cool climates of the northeastern U.S. They are abundant providers and cider has long been a pragmatic method of capturing and preserving that abundance. “I produce cider in the Hudson Valley, but I acquire apples from a few different regions,” Leif explains. His fruit sources are in Columbia County (Hudson Valley), the Finger Lakes (between Cayuga and Seneca lakes), and Wayne County (north of the Finger Lakes — “in what some cider makers refer to as Greater Lake Ontario,” Leif adds). He plans to add Catskill Mountain area fruit soon. “Greater Lake Ontario is a region that performs somewhere in between the other two regions in terms of ripeness and acidity. Profiles here are gentler, providing charm and balance,” Leif feels. The harsh climate is moderated by the vast lake, but of the regions Leif works, it is the last to bloom. These factors, combined with predominantly loam soils, produce rounder, softer, gentler flavors. “My ultimate goal with Sundström Cider is to be able to source from multiple regions, and ideally be able to work with enough developing orchards that I can produce single-orchard ciders from each of those regions in an effort to document some element of terroir throughout the years, so that I have something to look back on, to become better informed about them. Sponti will likely always be a blend of the regions, while the other future bottlings aim to be very terroir specific,” explains Leif. The cellar work at Sundström Cider is rooted in traditional techniques and minimal intervention. Ripeness, acids, tannins, and pH determine cider style. Complexity, texture, and depth come from the cider maker’s choice of apple varieties, fermentation style, and time on the lees. The ciders start with the “sweating” of select varieties. A portion of the fruit’s water content is allowed to evaporate at cool cellar temperature over a period of several weeks, concentrating sugars, phenolics, and acids, and also allowing the fruit to develop more complex flavors. The same varieties that are selected for sweating are then ground and macerated for up to 48 hours, depending on variety and vintage. Maceration draws more phenolics, aromatics, and flavors into the juice, and helps to stabilize it with the natural antioxidants found in the apple pomace. This also allows for positive oxidation to contribute to fixing phenolics and tannin. Post-maceration, the must is pressed direct to tank for fermentation. All inoculations are from native yeast cultured in a pied du cuvée. (Leif’s began with a spontaneous fermentation of wild crabapples, and has been “cycled from vintage to vintage to maintain an ever-growing and evolving native yeast for three years now,” he says.) Fermentations occur without temperature control, primarily in the cool months of November and December. Ciders destined for oak aging are racked to barrel just before sugars reach zero, to allow the final phases of fermentation to occur in oak and to carry more suspended lees into the aging process. All tank-aged ciders remain on their gross lees until bottling. Aging of the ciders occurs for an average of six months before bottling. The barrel-aged ciders are raised in neutral wine barrique. Battonage is practiced, with varying degrees of frequency, dependent on each vintage’s specific ripeness and phenolic concentration. Sulfur is used sparingly and judiciously. All ciders that do not see maceration time are sulfured at 20ppm at press time to eliminate any organisms prone to producing off-flavor compounds. Depending on a cider’s pH, it may be sulfured once again after alcoholic fermentation, but generally this does not occur until the ciders are racked to bottling tank and then at a minimal rate in accordance with their specific pHs. This vintage was more or less a classic vintage, with bountiful crop and moderate weather throughout the season that produced an average yield state wide with balanced sugars and acids. Concentration was not as high as in 2016, but acids show slightly more pronounced. Ciders from this vintage are focused and balanced, with plenty of structure and concentration to allow for mid-term aging. This vintage began difficult with frost during bloom in some areas and hail in others. This was followed by a very hot and dry summer. However, in spite of the weather challenges New York state’s overall harvest was relatively average in size. Many cider orchards lost some crop; but, in the end it was a moderately healthy year with some of the most excellent cider apples in recent history. Fruit size was small, but compact, due to lower water content. Apples were dense in sugars and phenolics which lead to a vintage with some of the most dynamic and layered ciders. Ashmead’s Kernel originated in the 1700s in Gloucester, England as a seedling tree likely planted by William Ashmead. “Kernel” is an old term which refers to an apple originating from seed, as opposed to breeding or grafting. The apple saw popularity in England as a dessert and cider apple and later made its way to North America by way of travelers exploring the New World with the first known plantings appearing in the 19th century. The apple is known for very pronounced acids and high levels of sugar ripeness, with the potential to reach upwards of 10-11% abv naturally. It is an apple with russet skin and very dense flesh, both lending greater opportunities for concentrated and nuanced flavors. Profiles in ciders can range depending on the terroir of origin but can very often lend aromatics of lemon or orange blossom, tea, mineral and Riesling fruit; along with an incredibly vinous palate with long, bright acidity carrying orange-oil, pit fruit and floral flavors with a savory nutty undertone. However, the flavors are so myriad and complex it’s nearly impossible to describe. This is easily among Leif Sundström’s most coveted apple varieties for cider. Golden Russet originated in New York state during the first half of the 1800s. 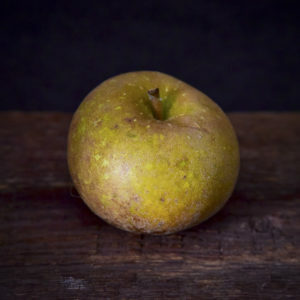 While its exact place and year of origin remain a mystery, its parentage is likely derived from the long-lost English Russet, though some speculation has been raised about Ashmead's Kernal being a parent variety. The apple is a russet known for exceptional ripeness and flesh density that may range in flavor depending on terroir. The fruit carries forth profiles of honey-comb, melon and pit-fruit flavors with a notable spice character—sometimes compared to ripe Chenin Blanc or even Kamptal Grüner Veltliner. Acid profiles are often round, ripe and well balanced. In comparative tasting and testing, Hudson Valley has been noted to produce some of the most full-flavored and complex Golden Russet fruits and can produce apples that naturally reach a balanced abv of 10-11%. While it is not a variety known for tannin, particular terroirs (such as the Hudson Valley) produce such phenolic content that structure becomes a notable characteristic in finished ciders. Newtown Pippin is one of the oldest American apple varieties, having originated in Newtown, NY – what is now Elmhurst, Queens – when a seed was planted by Reverend John Moore on his family homestead in the early 1700s. By the mid-1700s the apple had come to be among the most well regarded. 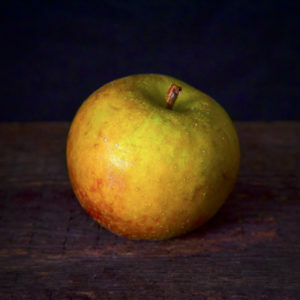 Benjamin Franklin introduced the apple variety to England in the 1750's and the apple quickly took England by storm, becoming a favored import of the Queen. Newtown Pippin is a distinctly acidic variety that produces bright, delicate and transparent ciders. Saar Riesling often comes to mind when tasting Newtown Pippin ciders for its spring herb, green apple, under-ripe stone fruit character and full of lively energy. Riper climates or well ‘sweat’ apples can also carry forth notable pineapple characteristics. It’s a variety that is lithe and focused in ciders. On its own, it is a delicate laser on the palate and can provide lift and focus when deftly applied to a blend. 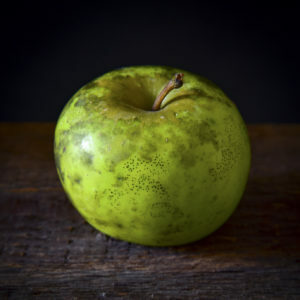 Among the great native northeastern apple varieties that make excellent cider, Northern Spy has arguably achieved the most commercial popularity in culinary use as well. 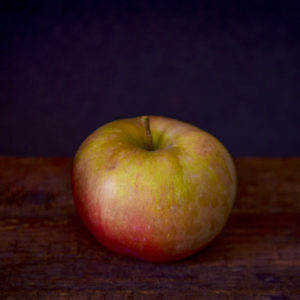 The apple originated in East Bloomfield, NY in the early 1800s when collected from a root shoot of a tree Heman Chapin planted from seeds brought from Connecticut to his home orchard. Northern Spy experienced incredible popularity throughout the Great Lakes as well as NY, most notably for its culinary use in pie making—‘Northern Spys are for Pies’, as the saying goes. In cider blends Northern Spy often acts as the ‘great harmonizer’, opening up fruit profiles and adding a mineralic backbone to the blend. It’s a variety that reaches great ripeness, with natural abv ranging from 7.5% to 9% depending on terroir. Acids are pronounced, though gently balanced with the natural ripeness. Notable flavor profiles often include red fruit, currant, and cherry with a delicately floral aroma and notable mineral presence. While delicate and distinctive on its own it shows a great propensity for highlighting the best of other apples in a blend.